Temporomandibular joint disorders (TMD) are common in all age groups. TMD are often chronic, frustrating and can have a truly negative impact on an individual’s well being. The causes and treatment of TMD is a controversial topic in dentistry without clear guidelines which makes it more frustrating to patients suffering from this condition. Our approach to TMD is more conservative and focuses more on “management” of the condition rather than offering a treatment or cure. The reason is that because for a large majority of cases, there is simply no cure. In a limited number of cases, a clear cause may be determined and resolving that problem can be helpful. In most cases however, a clear cause is elusive and therefore, treatment is difficult. Our method of addressing TMD relies mostly on analyzing your dental history and performing a clinical exam in order to determine exacerbating factors. Stress often plays in big role in TMD and usually makes it worse. 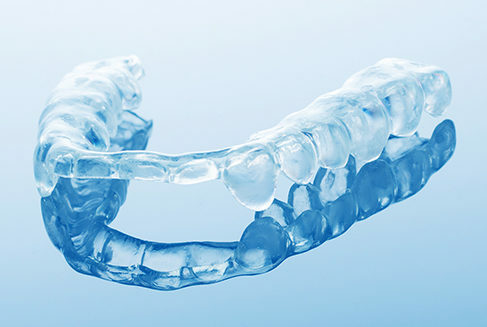 Grinding (bruxism) and clenching at night or during the day also make things worse. Sleep disorders, joint disorders, arthritis, history of trauma and other possible causes should be considered. Based on our evaluation, we will recommend some measures and possibly a night guard, to address the problem and manage the condition. After establishing possible causes of TMD, we will make recommendations that are non-invasive and often effective. Orthodontic treatment is almost never recommended at our office as a treatment for TMD as most research has shown that bite-problems are almost never the cause of TMD.